At Noir. Dining in the Dark, you will embark on a sensory journey into a different world and savour exquisite tastes and textures in complete darkness. This multi-sensory dining experience will stimulate your senses and open your mind. 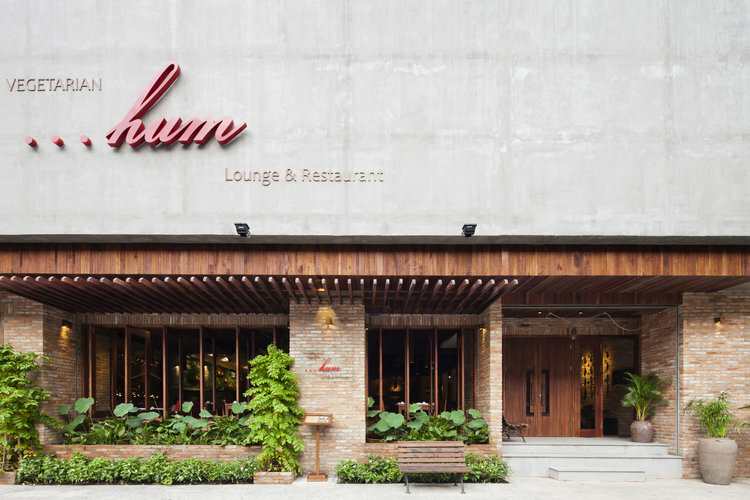 Situated in two beautiful locations in districts 1 and 3, near the city’s top tourist attractions, Hum Vegetarian offers a cozy, elegant and calming atmosphere in which to enjoy delectable food. 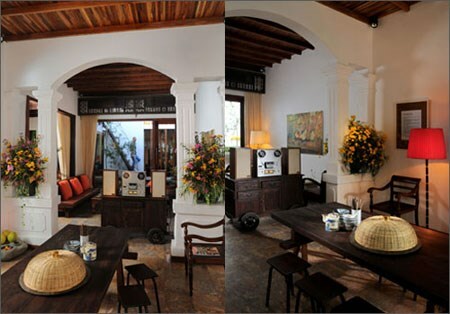 The food is prepared on site from various fresh beans, nuts, vegetables, flowers, and fruits. High quality food & service, beautiful ambiance. You will be surprise by HUM delicious food even you are not vegetarian. 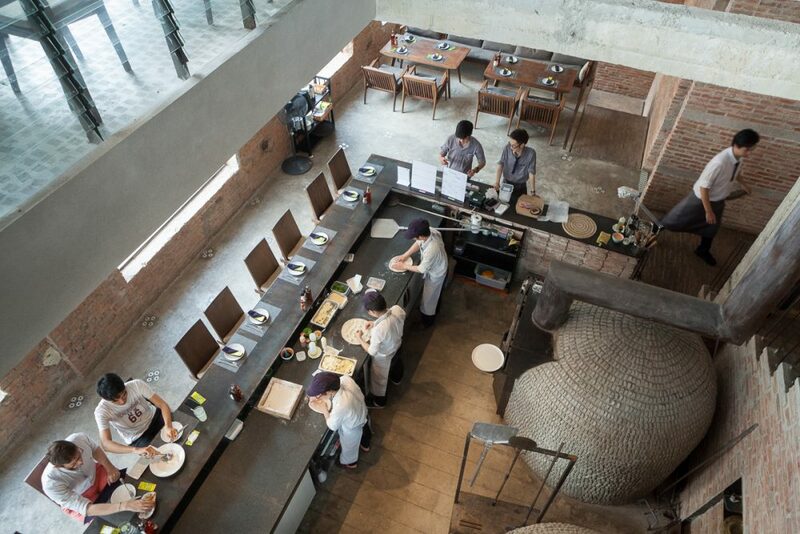 Pizza 4P’s becomes the top pizza restaurant in Vietnam because they combine the original pizza (Naples) with some Asian twist, such as Japanese Sashimi Pizza and Vietnamese Four Flower Pizza. The special thing here is homemade cheese from freshly drawn milk in the 1000 m above sea level highland of Da Lat; to keep its milky flavor and natural texture, their professional cheese makers carefully craft each cheese by hand. 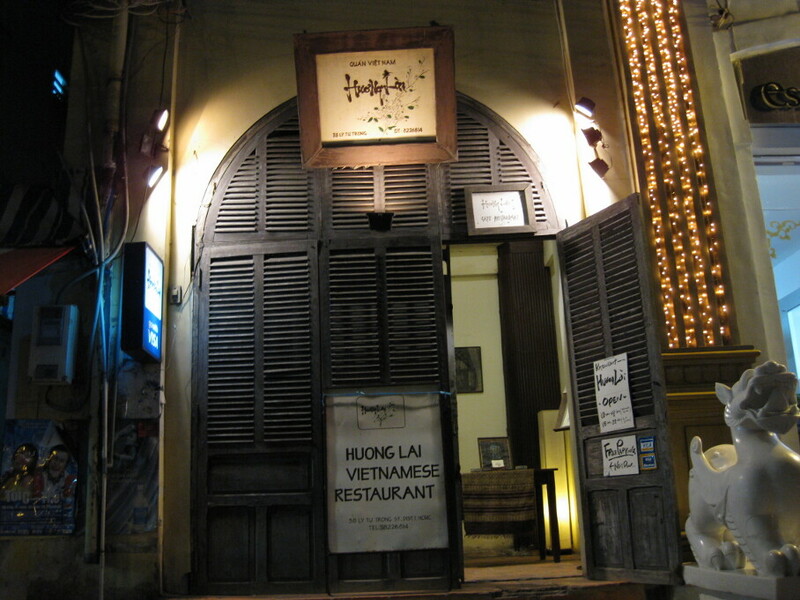 In November 2011, this restaurant welcomed American film star Angelina Jolie and her family during their holiday in Vietnam. She wrote in the visitor’s book: “Thank you for wonderful lunch, beautiful place, good food. We look forward to next time”. To get to this hidden charm, you have to climb 5 flights of stairs but it’s worth. 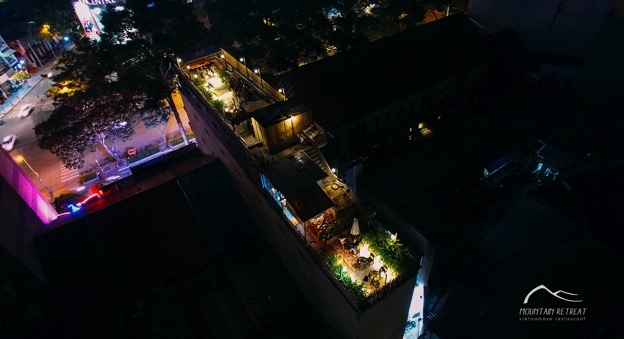 The restaurant locate on the roof top of an old – building without elevator. 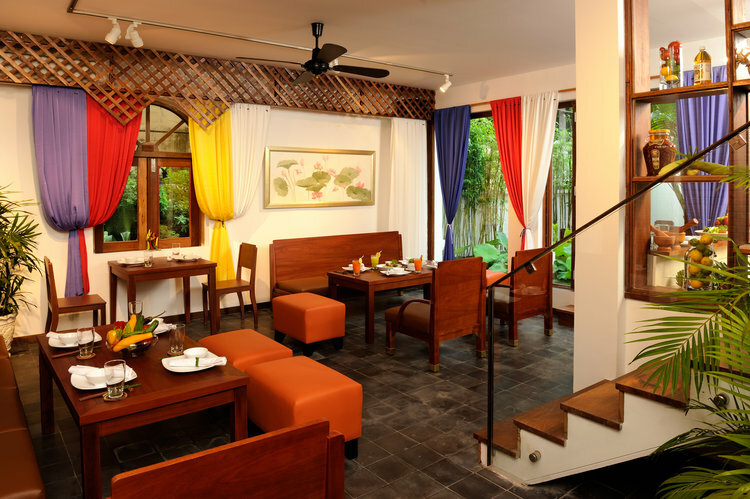 You will have a chance to try the Authentic Vietnamese dishes- “mom’s cook style” here. True to its name, customers can enjoy breakfast, lunch, brunch or dinner on the large outdoor wooden deck. Together, chefs Cao Lam Gia and Adrian Scott have designed a menu based on contemporary pan-Asian fusion cuisine with an emphasis placed on simplicity. Its location guarantees a romantic setting, and cruises along the neighboring river are available before or after dinner. 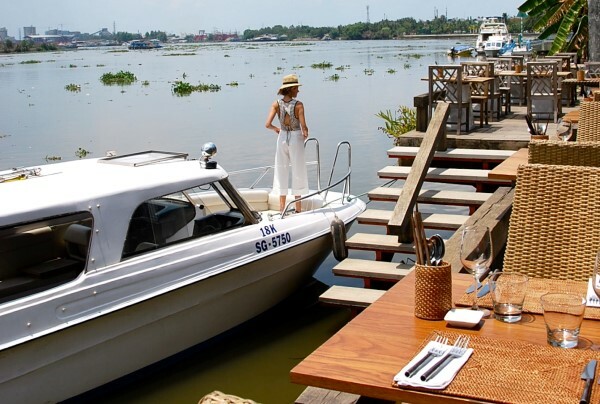 It is also possible for the restaurant to bring you to your dinner table by boat, just ask in advance when you make your reservation. 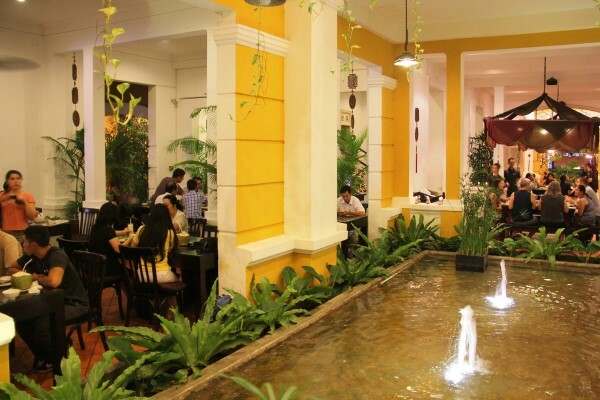 Located on Pasteur Street in the tourist centre of District 1, Nha Hang Ngon is a 10 minute walk from the Ho Chi Minh Opera House, along Le Loi and right at the Pasteur Street intersection. 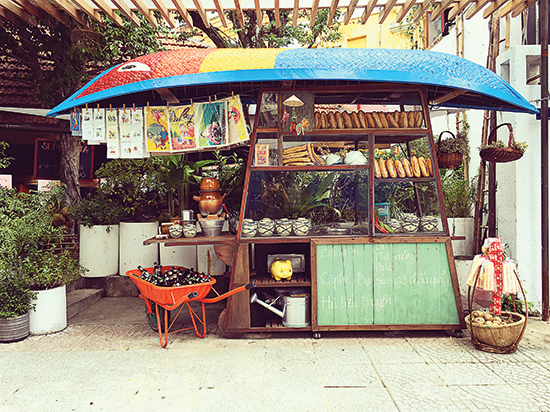 Set in a leafy garden ringed by food stalls, each cook serves up a specialized traditional dish, great choice of all different Asian food: Vietnamese, Thai, Japanese or Chinese cuisine. It’s a good place for moment you have any ideas for dinner . One weak point, it’s very busy, crowded and noise, you have to reserve in advance by phone. Huong Lai Vietnamese Restaurant service staff and some of the kitchen staff are former street children, orphans and youth from very poor families. Huong Lai has provided them an opportunity to better their life. Huong Lai Vietnamese Restaurant offers a variety of authentic yet inexpensive Vietnamese home cooking cuisine.